The appropriately named “Seven” is the seventh hull in the Southern Wind 100 mini series, and the first in its class with a Raised Saloon. 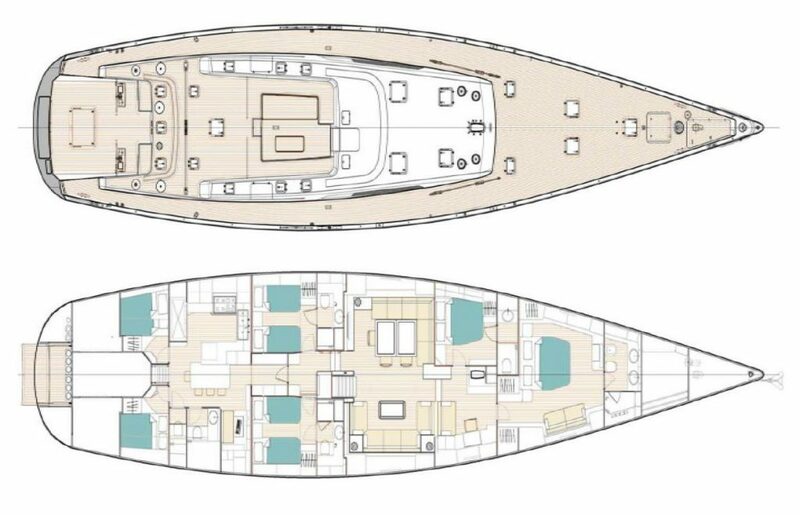 The successful SW100RS was designed by the winning collaboration between Farr Yacht Design for the naval architecture and Nauta Design for the general concept, interior design and exterior styling. Seven was laminated up through a process of Vacuum infusion with advanced composite materials (carbon fiber, Kevlar, Corecell and epoxy resins). She features the sporty lines of a low coach roof profile and an open transom, tipical of SW100RS, but modified in 2015 aligning its design to the latest design and technology trends. In 2015 she benefited from an intensive refit, including but not limited to: stern lines modification by widening of approx. 50 cm for a more up-to-date design, hull fairing and painting, new EC6+ rigging (vs PBO), must and boom fairing and painting, interior flooring re-varnishing, new deck and interior upholstery.